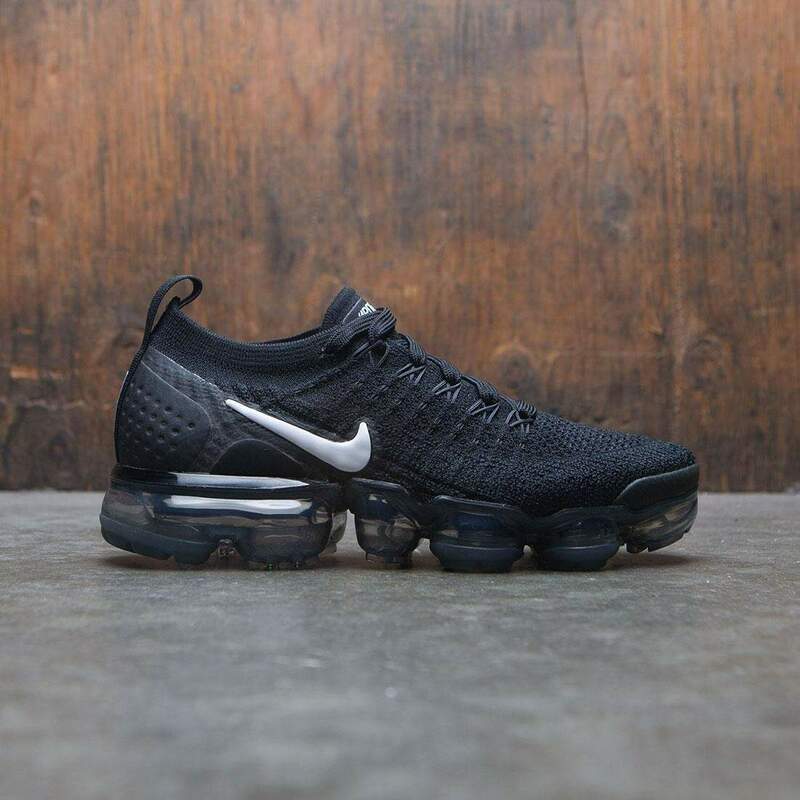 The lightest, most flexible version of Max Air to date, the Nike Air VaporMax Flyknit 2 eliminates excess and leaves just want you need ? in one revolutionary silhouette. 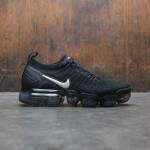 30 years after Tinker Hatfield designed the first visible Max Air bag, Nike has once again revolutionized their staple cushioning system, shedding weight and maximizing flexibility to create their most comfortable ride and powerful style statement yet. The VaporMax 2 begins with a seamless, one-piece Flyknit upper that fits like a sock, moving with your foot as you run. Flywire cables are woven into the upper, allowing you to adjust your level of support and lockdown through the shoe's laces. Almost all layers between the foot and VaporMax Air have been eliminated, drastically cutting down on weight and delivering responsive ground feel. The full-length VaporMax Air midsole is segmented for increased flexibility and full, natural range of motion you have to feel to believe. The full package is a head-turning new addition to Nike's Air Max line and a must-have for serious runners and trendsetters alike. Back for round two, this updated version features a reinforced heel for better durability and improved fit. One-piece Flyknit upper with Flywire cables embedded in the knit for a snug, sock-like fit and adjustable lockdown. No-sew overlays at the toe tip and heel for lightweight structure and durability. VaporMax Air midsole technology provides lightweight cushioning only where you need it and returns energy with every step. Rubber pods in high-wear areas of the outsole for durable traction without added weight slowing you down.